According to reports, two of his smartphones were kept on charge next to his bedside and one of them exploded. Cradle Fund CEO Nazrin Hassan was 45. According to reports, two of his smartphones were kept on charge next to his bedside and one of them exploded. 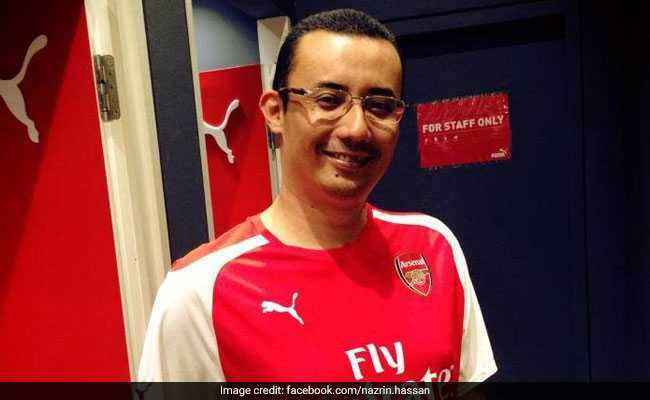 While some reports claim that the fire from the explosion caught the mattress and then spread to the room, leading to the CEO's death, others say that broken parts of the phone hit Mr Hassan on the back of the head which led to a "trauma". The police, however, have concluded that Mr Hassan died of smoke inhalation after being trapped in a bedroom fire. Mr Hassan's brother-in-law said that he died before the mattress caught fire. "He had two phones, one Blackberry and a Huawei. We don't know which one exploded. Who would have thought such an innocuous routine procedure is the reason three young kids will grow up without their father by their side," Mr Hassan's brother-in-law said in a message on social media, according to The Malaysian Insight. The official statement issued by Cradle Fund, said, "The post-mortem report concluded the cause of death as being complication of blast injuries attributable to an exploding hand phone that was being charged next to him." "Cradle has lost a passionate, innovative and humble leader and the startup community has lost an inspiring leader. His vision and love for innovation will always be at the core of what we do. Nazrin loved his work, but his greatest love was for his wife and children," the statement added. Cradle Fund is owned by the Malaysian Ministry of Finance that helps fund tech entrepreneurs and startups. Mr Hassan spent over 15 years promoting early-stage funding for tech startups. He was educated in the United Kingdom and had a Bachelor of Laws degree from the University of Buckingham.